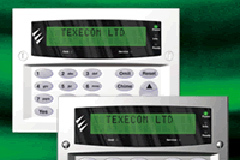 Lancashire burglar alarm installation specialists, Keyways can provided your home and commercial premises with comprehensive protection for all your fire and security needs. We can install burglar alarms to keep you protected against intruders. However even once you have an NSI Gold burglar alarm installed it will all to often only let you know that you have been broken into. In order to improve protection of your property, our master locksmiths can install locks, safes, gates or barriers to ensure that a good visual deterrent, which will stop or slow a determined thief. Our access control solutions can also be monitored by CCTV systems, ensuring that a burglar is detected and warned off before any damages is done. Obviously we cannot completely prevent every crime but our security systems have helped protect our clines, that have suffered an attack and the security systems that are in place have either hindered or completely stopped the the progress of a robbery, resulting in a reduced loss. Contact us for more information on the burglar alarms and security systems we can provide you and your home or commercial premises.